The process of planning a surgery can be challenging. Once you have resigned yourself to the possibility that you need to have surgery, and you are willing to have surgery, you must find a great surgeon. For some people, a second opinion is also necessary, so finding yet another surgeon may be part of the process. 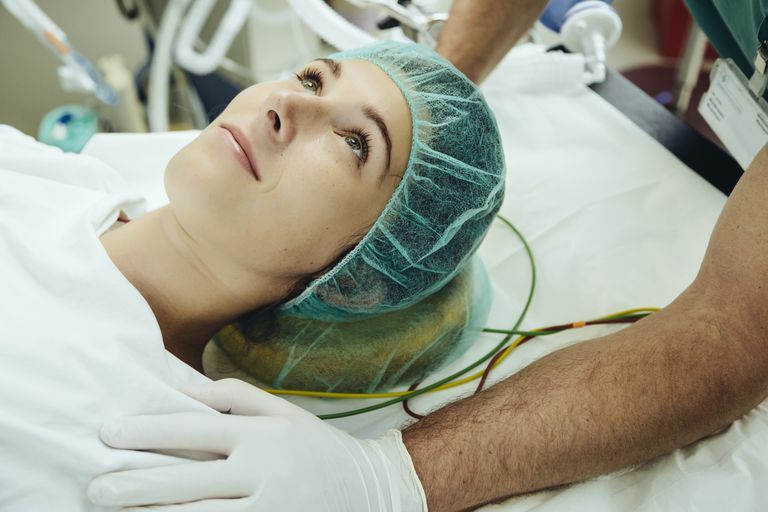 If you are having an emergency procedure there is unlikely to be an opportunity to explore alternatives, but if your surgery is being planned in advance you can dramatically improve your chances of having an excellent outcome by doing your research. Then comes another big decision—where to have surgery. Many surgeons practice in multiple locations. They may perform surgeries at multiple hospitals, or they may offer the possibility of using a surgical center versus a hospital. Choosing a facility is not difficult, and it is absolutely worth your time and energy to make a thoughtful decision about both the surgeon who will perform the procedure and the place where the surgery will be performed. All hospitals do not offer the same care—there are excellent hospitals, good hospitals and even some poor facilities out there—so plan on spending some time making sure you are choosing well. Medicare.gov offers an excellent guide to choosing a facility, including tools to compare several hospitals and the services they offer. If you have selected a surgeon, your choices are limited by where your surgeon has privileges, which is the ability to use a facility to practice medicine. Your surgeon may use multiple hospitals, surgical centers and also have an office in which patients are seen before and after surgery. Aside from the convenience of the location of these facilities, quality is of primary importance. Quality measures are available as a matter of public interest. A simple internet search will provide significant information about how the facility you are considering measures up against other facilities in multiple ways including mortality (death) rates, infection rates, and the number of medical mistakes that occurred in the facility. Don't forget the financial impact of where you have your surgery and who performs the procedure. This includes the anesthesia provider. Some facilities will accept your insurance as "in network", meaning they will reimburse at the highest rate they offer. Other facilities may be "out of network" and the percentage your insurance will cover will be significantly less, with the difference being paid by you. Some patients report finding out after having surgery that the facility they chose was in network, only to find out later than they were responsible for an enormous bill for anesthesia because the anesthesia services were out of network. Be sure to check and make sure that a) the surgeon, b) the facility and c) the anesthesia providers are all "in network" for your procedure. Failure to do this can result in an unpleasant surprise in the form of a bill that costs many thousands of dollars more than you expected. A phone call to your insurance company can provide accurate and current information about coverage levels. When you are having surgery you don't want to be the only person to have the procedure that year at the hospital. You are looking for a facility that performs your particular surgery on a regular basis, preferably multiple times a day if the surgery is a very common one. This is because it is just as important that the staff is as familiar with caring for a patient who has had the procedure as the surgeon is comfortable performing the procedure. There are procedures that are performed less commonly, even at the largest facilities, such as heart transplants and other rarer procedures and those surgeries are unlikely to be performed on a daily basis. In that case, you are looking for a very experienced surgeon and a staff that is competent to provide care to the patient after surgery. That said, if you are having a hysterectomy you want to go to a facility that performs many hysterectomies. If you are having a hip replacement, you want a facility that performs many hip replacements. Research shows that facilities that perform procedures frequently have better outcomes for those surgeries. The Centers For Medicare and Medicaid services track infection rates at hospitals across the country. This data details the number of hospital-acquired infections that occur within the nation's hospitals each year. A hospital-acquired infection is an infection that starts in the hospital and does not include infections that were present when the patient arrived at the hospital. Good hospitals take great pains to prevent infections from being acquired in the hospital. They also work to prevent the transmission of infection from one patient to another. They do this by using simple techniques that include frequent hand washing, wearing special plastic gowns in the rooms of patients known to have easily spread infections, and using sterile techniques during procedures that can introduce infection. For patients, this infection prevention focus will be most obvious in the frequent hand washing by staff, infrequent use of urinary catheters and indwelling IV access, and the removal of catheters and IV access as soon as possible. This measure of quality is one of many reasons that blood cultures are frequently drawn in the ER or shortly after arrival to the nursing floors when a patient is being admitted to the hospital. This helps determine if an infection was present prior to hospital treatment. The Joint Commission is a not-for-profit, independent organization that provides accreditation and certification for healthcare organizations nationwide. Over 20,000 hospitals, nursing homes, rehabilitation centers, hospice and home care groups are monitored by the Joint Commission for adherence to quality standards through routine onsite surveys. Accreditation is a mark of quality for a hospital or surgery center, and the absence of this stamp of approval should be concerning for individuals looking for an appropriate place for their surgery.